With the Masters at Augusta in full swing, we asked Bet Angel founder Peter Webb for his top tips on trading the event on Betfair and guaranteeing a profit whatever the outcome of the first major of the year. "Second round contenders within five of the leader produce a winner 82% of the time and that will have risen to 94% by the end of the the third round." 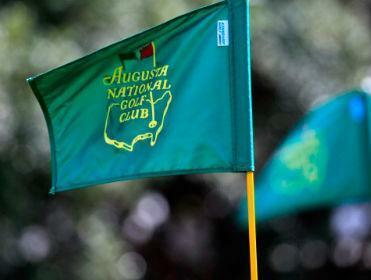 I like the US Masters, because it's the only major played on the same course each year. This means you can collect a ton of stats on how the course plays. This gives me a good guide as to when to trade out of a position. You can do this on most courses, but because the Masters is at the same location every year it is much more predictable. The most likely hole to drop a shot on is the 11th but variance to par, one of my main metrics, means that a dropped shot is quite likely to occur in bunches. The most expensive three holes over the course are holes 10-12 where on average there is a nearly a 28% chance of dropping a shot. Players tend to pick up shots on the par fives so holes 13-15 are where you can pick up a shot. There is a average 40% chance you will pick up a shot on these holes. Players are most likely to eagle the 13th but two holes later is another chance. The last three holes are testing and dropped shots are likely here. Laying shorter priced players ahead of a trickier part of the course or backing bigger prices approaching easier holes can be a good strategy. Golf itself isn't very predictable and that is where the beauty of trading it lies. But while the outcome is uncertain, four-day tournaments do have predictable patterns in the way contenders or outsiders play the tournament. The weather looks settled for the tournament this week, that will make for less mistakes and favour players who are used to good weather. But it's notoriously tricky here, so a slice of luck will always be welcome. But it doesn't look like the weather will contribute much this week. The absence of Tiger Woods will make a significant contribution to the tournament however. Without Tiger it looks a super competitive field which should make for great trading fodder. Tiger reached the cut at odds of [2.12] last year and lost. Adam Scott, the eventual winner was [18.5] at the cut, you could have laid six shorter priced players successfully last year. In 2012, eventual winner Bubba Watson was [14.5] at the cut with three shorter prices above him. Rory McIlroy topped the list of losers at [4.40]. But that's not a patch on the [1.78] he traded at in 2011 at the cut. Eventual winner Charl Schwartzel was placed fifth in the market then at odds of [16.0]. Second round contenders within five of the leader produce a winner 82% of the time and that will have risen to 94% by the end of the the third round. Therefore 'dutching' the front of the field at the cut or at the start of round three is very likely to find a winner. When dutching using Bet Angel you nominate how much you want to win and select a range of players you want to win. It's that simple and is another benefit of using the exchange to place a bet on the Masters this week.